Home / News / Nakikinig ka ba Leni? Gordon says those who disagree with Duterte should resign. Nakikinig ka ba Leni? Gordon says those who disagree with Duterte should resign. 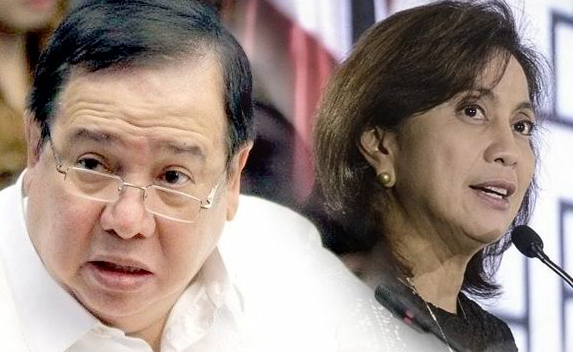 Senator Richard Gordon in a radio interview has a piece of advice to Vice President Leni Robredo, saying that if your moral sense is not on the same side as President Duterte, then you should resign. “Kung ikaw ay cabinet member you have to side with the president kung hindi mo na kaya na mag-side sa pangulo at ng prinsipyo mo, you resign,” Gordon said. “Yun ang mangyayari kasi you are the President, cabinet kasama kayo, kapag ikaw ay kokontra at hindi na kayo magka-igihan ng president you resign or the president fires you,” he added. President Duterte earlier ordered the hero’s burial for late president Ferdinand Marcos. But Vice President Robredo is one among those opposed over Marcos burial at the hero’s cemetery. “I’ve been fighting this all my life yung partido natin wala eh, nanalo si Duterte. Ang daming liberal nung araw nung manalo na si Duterte lahat lumipat. ganyan naman na nung araw pa, lipatan nang lipatan.” Gordon said. “Yung panawagan na mag resign that is a call to conscience kung may conscience sila, yun talagang position nila they must follow their conscience but I’m not going to force them because maari sa kanila strategically it is a good alliance for them, di ba. “Kung talagang hindi nila ma take yun they should resign. Kung mate-take nila they should stay,” he said.